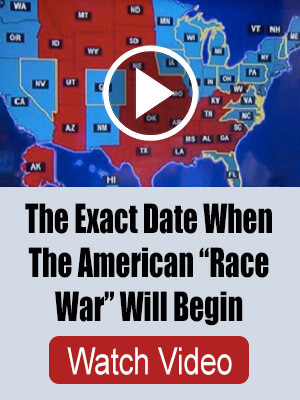 Imagine the worst has happened–the economy is collapsing, the country has been invaded, or a deadly pandemic is sweeping across the city–and people are beginning to panic. You are prepared to shelter in place, but in these sorts of scenarios, you’ll have no choice but to bug out. The question is: How long would it take to get yourself and your family on the road? If the SHTF, you need to be able to pack the car and get out of town as quickly as possible. If people are panicking, the streets will be clogged with people rushing to the bank or grocery store, so you need to be able to get out of dodge fast lest you get caught in the middle of a riot or worse. You might think you can bug out pretty fast, but if you did a trial run and timed yourself, you might be surprised at how long it takes. Think about all the things you’d have to load into your vehicle: bug-out bags, medications, important papers, communications gear, water, food, weapons… the list seems endless. You don’t want to waste time looking for things you need or trying to remember what you forgot. If the SHTF, every minute will count. Create a plan that covers every action that needs to be accomplished to get you and your family to safety. 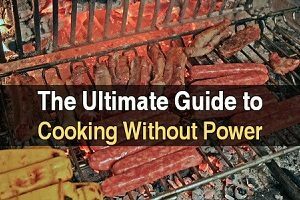 A simple “how to” plan with tasks assigned will let everyone know what is expected of them and make it easier for the family unit to work together to bug out in a more timely manner. Even a packing plan for a vehicle that clearly shows where items should be packed could save you valuable time. Make a list of everything you’d like to take. Organize the list into various categories, and order them by importance: must-have items at the top and nice-to-have items at the bottom. This way you’ll be sure to pack everything you definitely need first, and if there’s room in the vehicle and enough time, you can grab some luxury items, too. 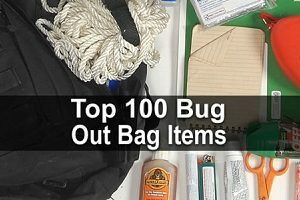 Obviously, your bug-out bag should be packed and ready to go. But you may also want to go ahead and pack some bags and boxes with survival gear and food. This way you can just pick them up and load them in your vehicle when the time comes (just be sure to rotate the food). You may also want to go ahead and load your vehicle with some non-food items (the shelf life of food would be drastically reduced if your vehicle is outside in hot weather). Pre-planning your routes will allow you to change from your primary to a secondary route without getting lost. Try to find several secondary routes and mark them on a map that you keep in the glove box. The more routes you have the better off you will be. Also, be sure to drive each route several times until you’re very familiar with them. This will allow you to identify hiding sites, pull-offs, and other areas you may need to ensure your safety. 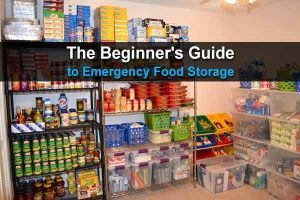 If the SHTF, there won’t be time to run to the grocery store, so make sure you have enough food and supplies for you and your family at all times. In my opinion, 30 days worth is the bare minimum. Keep track of how much your family goes through on an average day then calculate what you would need for 30. 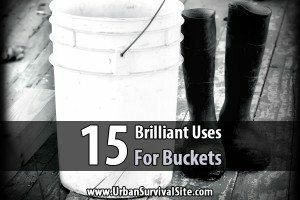 Go ahead and stock your bug-out location with non-perishable items. Doing this will make your life much easier once you get there because you’ll have plenty of space in your vehicle for food and water. Just be sure you have a remote and secure bug-out location so your stuff isn’t gone by the time you get there. If your bug-out location is so far away that you won’t be able to make it there without refueling or re-stocking supplies, develop and emplace one or more caches at semi-secure locations along the way. Be sure to put them on both primary and secondary routes. Here’s what to put in them and where to hide them. These simple suggestions will allow you to shave precious seconds off the time it will take to bug-out. By following these simple tips, you’ll be able to hit the road fast without wasting time packing and searching for the things you need. While the unprepared hoards are still gathering supplies from stores and packing their vehicles, you and yours will already be on your way out of town. We recently held 2 mock evacs. The first, almost one half failed time wise. The second with bicycles cached, everyone made it ahead of time. Caching bicycles is incredibly efficient both on roads and in the woods. You can push them over rough trails, then ditch them. The younger couples with kids were astonished how much faster they could go even on trails when they could put the kids on the bike. One of the biggest problems I have is that my 20 year old son doesn’t see the reason for keeping everything ready to go. He thinks its all about fun. When the tires are worn off and its broken then its a survival asset. Yeah it survived him.